A refreshing, lightly citrus-tasting real ale, made in Devon with British organic wheat and barley. Pale straw in colour with a well-rounded body and a delicately hoppy aroma. We love it paired with fish, shellfish and curry. 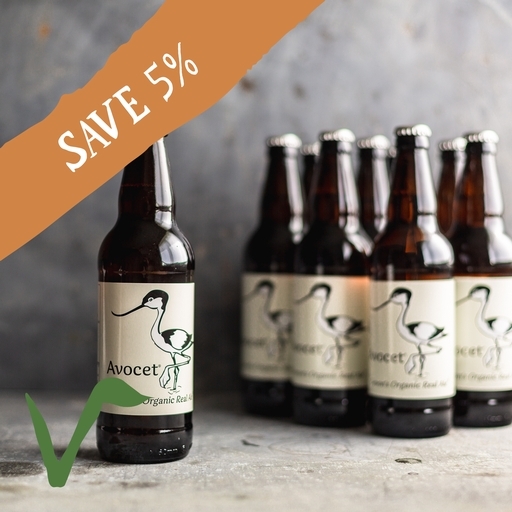 12 Avocet ale 50cl: Alcohol 3.9%, Allergens: barley, wheat, Suitable for vegans.